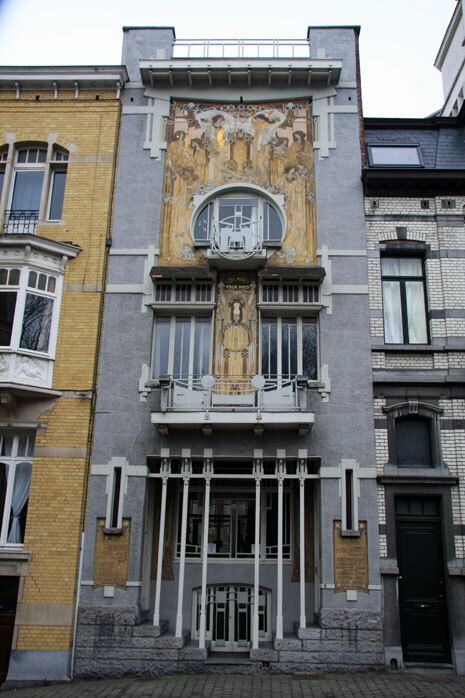 La Maison Cauchie (The Cauchie House in English or Het Cauchiehuis in Nederlands) was built by architect, painter and decorator Paul Cauchie in 1905 to be his personal residence. 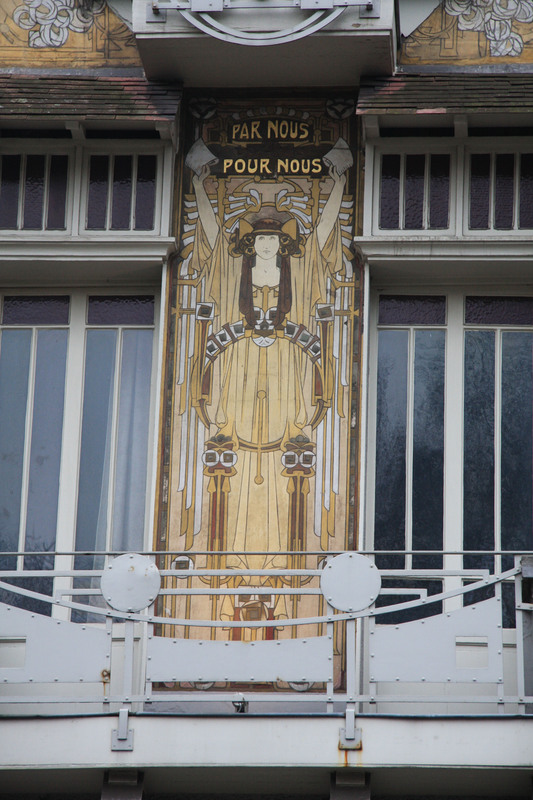 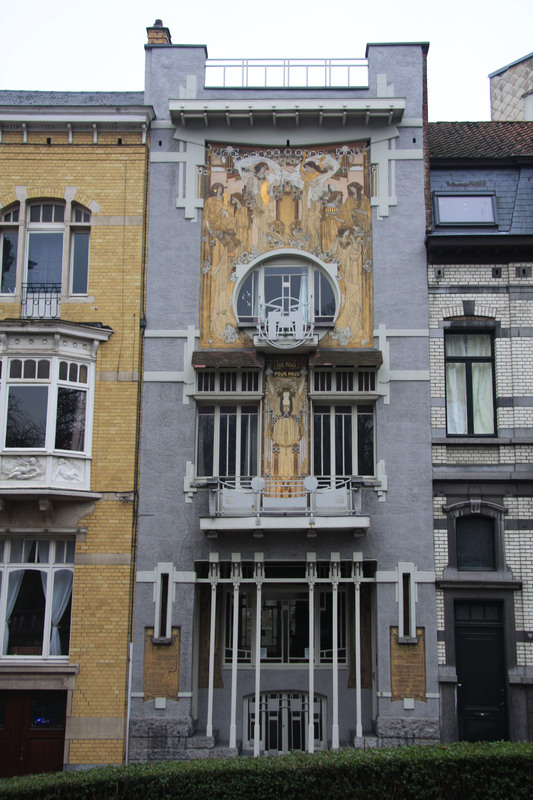 The amazing facade is completely decorated with sgraffito and is considered to be one of the best examples of Brussels’ Art Nouveau. 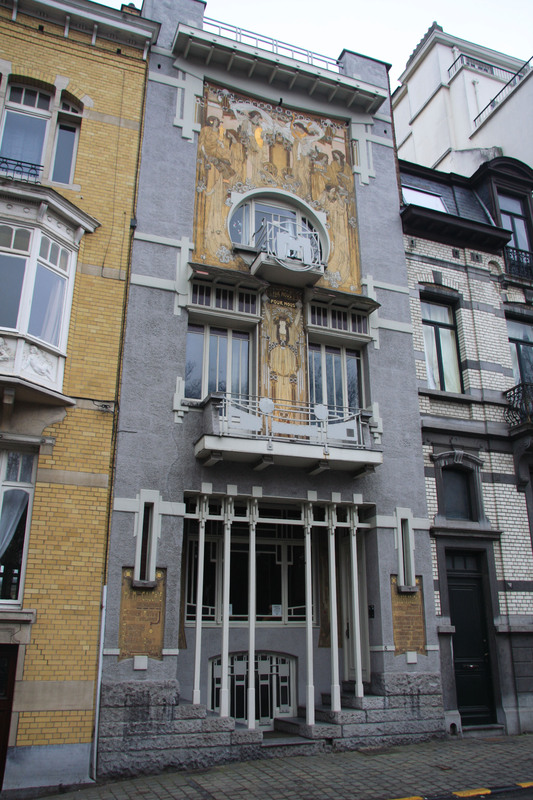 The Cauchie House is opened to the public every first week-end of the month from 10AM to 1PM and 2PM to 5PM where visitors can discover the interior where both the first floor and mezzanine feature some astonishing example of allegorical sgraffito. 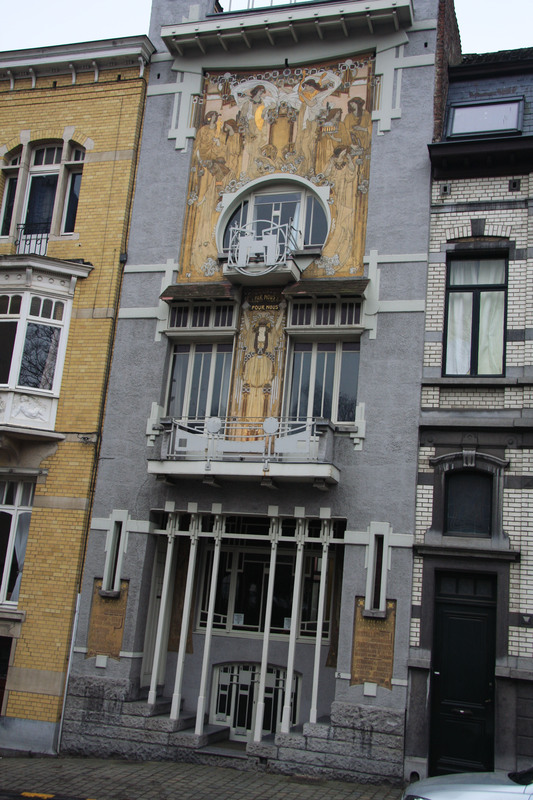 A gallery area which is also accessible displays a variety of paintings and furnishings made by Paul Cauchie and his wife Caroline Voet. 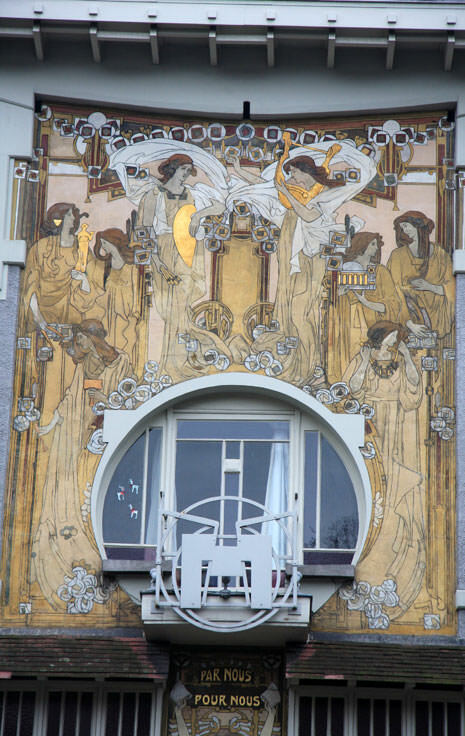 The colored figures around the circular window depict the eight artistic disciplines and reveal the influence of the pre-Raphaelites. 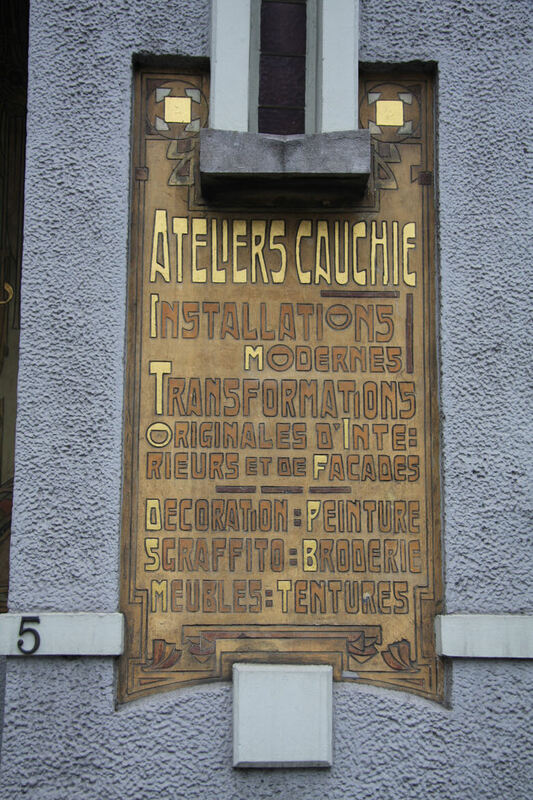 You are currently reading "Maison Cauchie"